Well unfortunately we are back to a Monday 🙁 Swear the weekends are way to short. Was going through recipes this weekend, and realized I had forgot to repost this recipe when I lost all my old post. Thought it was worth reposting, so here you go. For a while Jeremy has subscribed to Men’s Health Magazine. 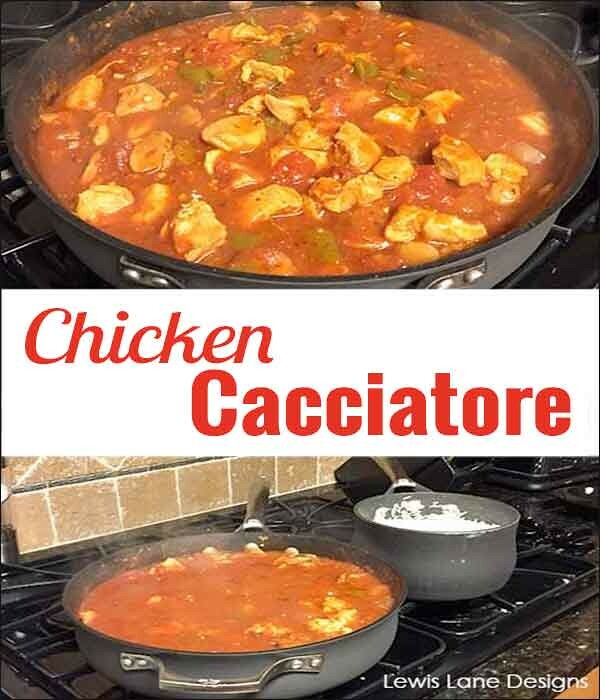 He found this chicken cacciatore recipe in the magazine and wanted to give it a try. Figured why not it looked good, and was low in calorie. When we ate it we put it on a bed of rice as you can see in the photo. This recipe does make a lot of food. You can take as leftovers or cut in half if serving a smaller group. Since it was just Jeremy and I at the house we had leftovers for days. Where do you usually go for recipes? or what makes you want to try a recipe? Usually I find my recipes on Pinterest now a days. If you give it a try leave a not in the comments below to let me know what you think. P.S I did find a way to retrieve an archive storage of your old post in case you lose them. Would you be interested in knowing how? If so leave me a comment below. Trying to see if worth doing a Tuesday Tutorial on. i have not had this in AGES! this is an awesome recipe that looks o yummy. perfect for these cool days here in atlanta!! thanks for sharing this with us. Looks amazing! I love simple dinners like this. Would love to see how to retrieve archive…. Haley Bradley recently posted…Parents: Are You Being an Excellent Leader?